When it comes to the all important decision to sell a property, appointing the right marketing agent is usually a tough decision. We know you want an agent who has the highest level of skill, the most experience and the best resources to ensure you get a premium result. The one common element amongst all clients is that they want to achieve a premium price. On just about all other elements, our clients differ. Some have very specific time requirements to sell; others don't mind how long it takes. Some want little publicity; others believe their property should have maximum exposure via advertising and marketing. That is why we tailor each of our marketing campaigns specific to the property, and our client’s needs to get the best result. The type of property also influences the best method of sale. Some properties have high appeal to potential buyers who may not even be actively looking to buy. Some will draw buyers from all parts of the country, or even from overseas. There are many different circumstances and influences. 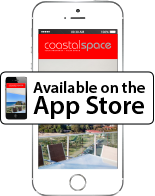 The team at Coastal Space is trained to present the best choices suited to your property to you. You decide on the way you want to sell your property and then we get to work.